I know we normally do FS stuff here but from now on you will more non FS projects being presented here. Aerosoft is active on many platforms! First Preview-Pics of new Köln - Düsseldorf-Route! 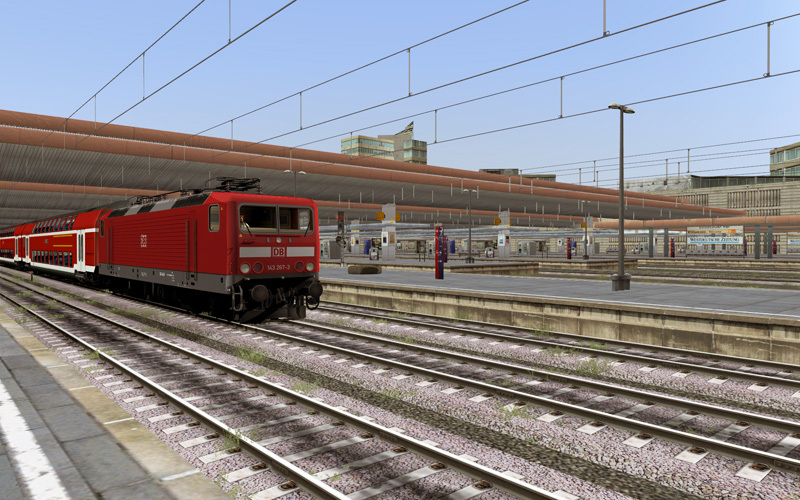 We are very busy working on our new Köln-Düsseldorf-Route for Train Simulator Railworks 2010. Now you can discover the first Preview-Screenshots of the project in our forum! 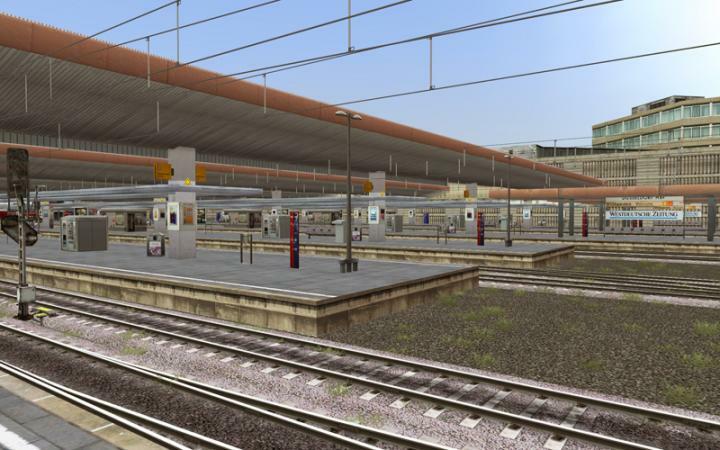 This Add-On is a graphical highlight, which shows realistically tracks along 3D-objects like the main stations of the cities, the Cologne Cathedral, the Musical Hall and the Hohenzollern-Bridge. Erste Preview-Pics von der Köln-Düsseldorf-Route! Ganz fleißig wird an der neuen Strecke Köln-Düsseldorf für den Train Simulator Railworks 2010 gearbeitet. Jetzt gibt es in unserem Forum die ersten Preview-Screenshots zu sehen. Das Add-On gibt besonders graphisch eine Menge her. 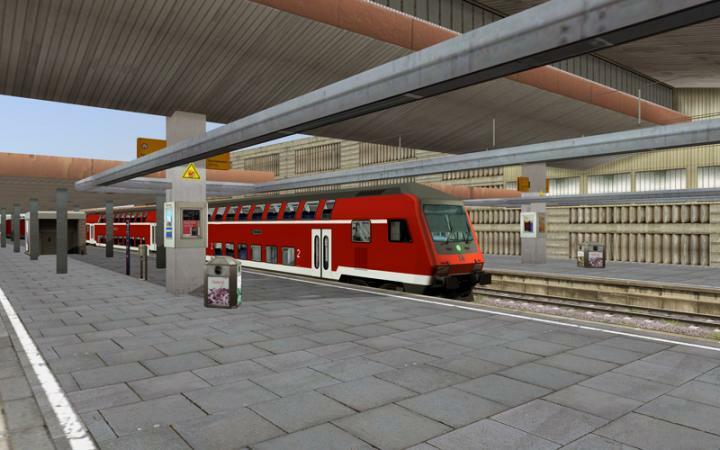 Die nach einem realistischen Streckenverlauf verlegten Gleise winden sich zwischen Köln und Düsseldorf vorbei an extra erstellte 3D-Objekte wie die Hauptbahnhöfe der beiden Städte, die Kölner Musical Hall und die Hohenzollernbrücke. I look forward to this... will it be on Steam or can we buy through the regular shop? I am not 100% sue but will ask. Thanks. The bridge looks a bit better now compared to the original screenshot and the dome has been added. It seems to me as if this could, in the best case, become an Easter pressie. If we are going to see more of these might I suggest that all preview topics should in future be prefaced with an BOLD platform description..? Either that, or create separate sub-sections for each platform to keep them distinct, and quickly accessible and relevant to interested parties. Great to hear and see that there is another high speed route coming to Railworks. I am looking forward to it. The progress looks good. are the ICE trains included in this pack? I was also wonderimg if Aersoft will be supplying this package or will it be Steam? This one will be delivered via our own channels and not via STEAM. Not at this moment, but last time I was in the office I saw some very nice work being done on it. New images... progress being made!